The State closed its case in Oscar Pistorius's murder trial in the High Court in Pretoria on Tuesday. 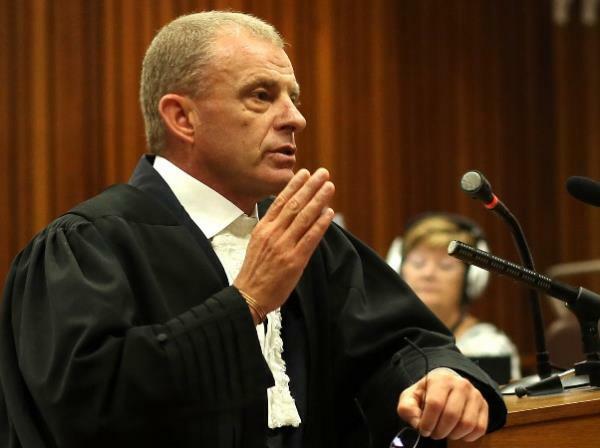 "If it pleases the court, My Lady, learned assessors, this is the State's case," prosecutor Gerrie Nel told Judge Thokozile Masipa. This happened shortly after Barry Roux, for Pistorius, recalled Colonel Johannes Vermeulen to the stand to re-examine him. Vermeulen had testified about the marks Pistorius made in the door of his toilet with his cricket bat. He shot and killed his girlfriend Reeva Steenkamp through the locked door, apparently thinking she was an intruder, in his Pretoria home on February 14 last year. He then used a cricket bat to break down the door and get Steenkamp out. After Nel had spoken, Roux asked for a postponement of the trial until Friday. "We need your indulgence to consider the statements of witnesses not called by the State and see who will be available and willing to talk to us," he told Masipa. Pistorius is charged with the premeditated murder of Steenkamp and with contraventions of the Firearms Control Act.